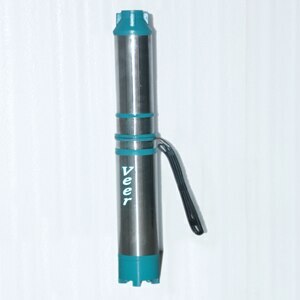 Veer Pumps Has the Expertise in Manufacturing V3 Submersible Pump. V3 Submersible Pump Manufacturer in Ahmedabad. Salient Features > V3 Submersible Pumps All components are precisely machined to give you trouble free operation. Motors are designed to withstand high voltage fluctuations. All rotating components are dynamically balanced for smooth and noise free operations. Requires less space. Easily rewindable. Simple assembly for servicing. Application > V3 Submersible Pumps Fountains. Cooling water Circulations. Gardening and Nurseries. Domestic water supply. Housing, Complexes and General Industries. Hospitals and Bungalows. For More Details http://pumps.veerpumpsindia.com/uttar-pradesh/pages/v3submersiblepump/591ab4649e132c0bfcb1f34b Supplier in : Ahmadabad, Surat, Vadodara, Rajkot, Anand, Bhavnagar, Jamnagar, Kheda, Junagadh, Navsari, Rajkot, Kutch, Bharuch, Porbandar, Mehsana, Kutch, Somnath, Surendranagar, Valsad, Vapi, Panchmahal, Banaskantha, Bharuch, Patan, Dahod We provide service on our products in regions of Gujarat.